Could banks land grab kill fintech innovation? C-level briefing: FS are seeking a winning strategy for engaging with fintech disruptors. The rise of fintech companies disrupting the financial services markets will lead to a wave of mergers and acquisitions from banks. With banks under significant pressure to improve security, services for customers and to meet regulations, there is a choice to either build or buy. Jason Purcell, CEO, FirstCapital, told CBR that both of these activities will create a lot of activity market, but could this kill fintech innovation in the financial services market? "Do you let the successful company continue to run and build and grow and you support it with your brand. Or do you try and integrate it in and try and use it to change your business. "Obviously the danger is when you do that is that you might take some of the best things about the technology or company and lose those in the process." Banks are likely to have mixed approaches to this, BBVA for example has decided to operate Simple as a separate subsidiary and so will Holvi. 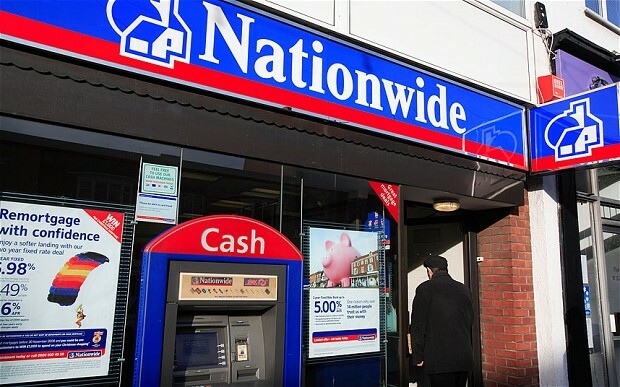 Nationwide Building Society is one example of a financial services organisation that is both building internally and collaborating in order to innovate. Simon Hamilton, CTO of Nationwide, told CBR: "We can in some instances go it alone, fintechs’ are typically bringing some kind of software asset that is quite specialist and they’ve worked in a niche area for quite some time so it would be hard to replicate that and speed it up." Historically the building society would work with software suppliers and Hamilton says that it is still learning how to connect into the fintech world, even though he feels that they are learning quickly. "We are now into double figures that we’ve built PoCs with and we are on a definite path to live with three of those so the track record is building up," he said. On the other hand, they can and do innovate by themselves, he said: "Conversely if I take what we did with giving someone their account balance on first the Android watch and then the Apple watch when it was launched, we built those ourselves. "We worked with one of our established partners, but the core thinking came from Nationwide, the underlying execution of some of that came from one of our established partners, so the innovation was very much ours rather than from a fintech collaboration." The decision to buy also has addition problems related to integration, Purcell said: "I think one of the big challenges for the banks is that they are architected on legacy technology, which is 30-40 years old, and it makes it very difficult for them to react to the changing demands of the market," said Purcell. Banks that decide to build themselves will be building on cloud based technologies and the companies that provide these will be acquired by big tech vendors. FirstCapital has seen companies such as Oracle, SAP and IBM already being active in buying these and putting them into their own technology. The alternative to this is that if banks don’t build it themselves then they will buy the fintech company and not just their software. Examples of this strategy are already appearing, for example BBVA recently acquired a Finnish banking start-up called Holvi, which is an online business banking service. BBVA also snapped up US banking start-up Simple for $117m in 2014. Both acquisitions increase BBVA’s presence and services in areas that it felt required improving and perhaps were starting to feel under pressure in. Banks have come under increasing pressure in the areas of lending, wealth management and in payments and this is leading to two outcomes either developing capabilities themselves or just buying the fintech company. Purcell said: "In many of the core functions of the banks they’ve got somebody who’s challenging them. I think some of the banks will react by trying to develop that capability themselves, other will have to just buy." A report from Accenture found that first quarter 2016 investment in fintech ventures reached $5.3bn, a 67% increase over the same period last year. According to the report, collaborative fintech ventures are gaining ground over disruptive players that have entered the market in order to compete against the incumbent organisation. In 2010 the funding for collaborative fintech ventures accounted for 38% of all fintech investment and this grew to 44% of total funding in 2015. Even those that enter the market as disruptors often find themselves collaborating with the established names through investments, acquisitions and alliances. This is highlighted by BBVA’s decision to buy a stake in Atom Bank worth $67 million. What this highlights is that there is certainly interest from both sides in collaborating, whether or not they at first start out as rivals. If banks decide to go down the M&A route the question should be asked whether it is good for the market. Fintechs’ have brought disruption and innovation to a market that was stagnant and there is the risk that a spate of acquisitions could remove that innovation. Purcell doesn’t feel that this is the case, saying: "The risk of all these companies being bought and squashed is less because they (banks) need to make this change; they’re not doing it because they want to, they’re doing it because they have to." However, he does say that there is a risk that when companies get acquired they lose the innovation that made them. With increased regulatory and customer pressure demanding change, banks have to act, which means they are more likely to utilise the innovation from fintechs’ than to waste it.